I started Kirei girl da... section to talk about blogs I love, my personal bloggers of the moment. I decided to take the name of the section from my blog, Kirei girl da Madrid, so all of them are "Kirei girl da..." (and the name of their city or country). kirei: means beautiful in Japanese. da: means from in Italian. Name, age / current location - Nathalie, 21 years old, live in a small village called "Forlimpopoli", Italy. Job, studies or present/ future projects? - Studying Law at the Bologna's Alma Mater Studiorum University with the hope to take my university degree as soon as possible. (I've seen some of your designs... I love them! Do you paint profesionally, did you study design or something like that?). I've always love painting since I was a child but I've never attend a professional school to develop my little talent. Were you born in Sweden? Because I remember reading you have family (at least your grandad) there. Can you tell us something that come up to your mind when you think of Sweden? Yes, I was born in Sweden and moved to Italy 10 years ago. Half of my parents come from and live there. Can you tell us differences between Swedish and Italian fashion? In my opinion Swedish people are more "open minded" forward fashion. In Italy, if you wear something strange or unusual, people immediatly frowned you, and I really hate these kinds of prejudices. Famous question... why did you start bloggin? - Simply because... j'aime la mode! I wanted to spread my passion for fashion with people who shared it too. And I've to add that you have the chance to know beautiful people through the world of the blogs. Do you have any favourite brand or shop? - Topshop and ZARA as low coast shops, YSL as a very...expensive one. A dream - It's called as 2.55. You might know what I'm talking about. Favourite singer / band - and a song from them - why do you love them so much? I've always been in love with Jamiroquai. Every single song fits great to a particular time of the day and feeling, and his songs make me happy. My favourite one is "You give me something". Grazie Nathalie per rispondere così gentilmente alle mie domande! Wish you all a great week-end!! Thank you for a beautiful a nice interview! Sono d'accordo con lei,in Italia è difficile avere uno stile personale, se ti vensti in maniera particolare storcono tutti il naso!buh!! uy me ha encantado que tradujeras lo que significa tu blog! esta chica es monisima! The last look is amazing, I'm in love with the bag! She's so stylish. Great interview! es muy linda! me imagino la ilusion que le tiene que hacer esto, a mi me la haria! adoro lo stile di Nathalie! Me ha gustado la entrevista, ya conocía su blog y me encanta su estilo. Gracias a ti, conocemos un poco más a Nathalie. Pero qué estilo tiene esta chica! Ahora mismo me paso por su blog! Me encantan todos tu "Kirei girl da.." que ojo tienes! Carissima...che bello il tuo post su Nathy...!!! Ho curiosato un po' tra le tue foto...mancavo da tanto...!!! Roma, che spettacolo...un bacione!!! Bella bella bella :) You choose beautiful pics! anche a me piace molto nathalie, ha uno stile così ricercato eppure su di lei risulta tutto semplice e senza sforzi! hai scelto delle bellissime foto e anche l'intervista è molto carina. FANTASTICA la entrevista! y las fotos son sencillamente preciosas! Ouaahhhh!!! la dernière photo tu as des jambes magnifiques et le sac est superbe bravo!!!! wow que pelo y que cuerpo!! Nathalie è splendida, adoro il suo stile! La seguo sempre. Gracias por hacernos conocer nuevos blogs! Vamos, yo por lo menos la visitaré a menudo! Beauty and brains indeed! She is sooooo gorgeous!!! 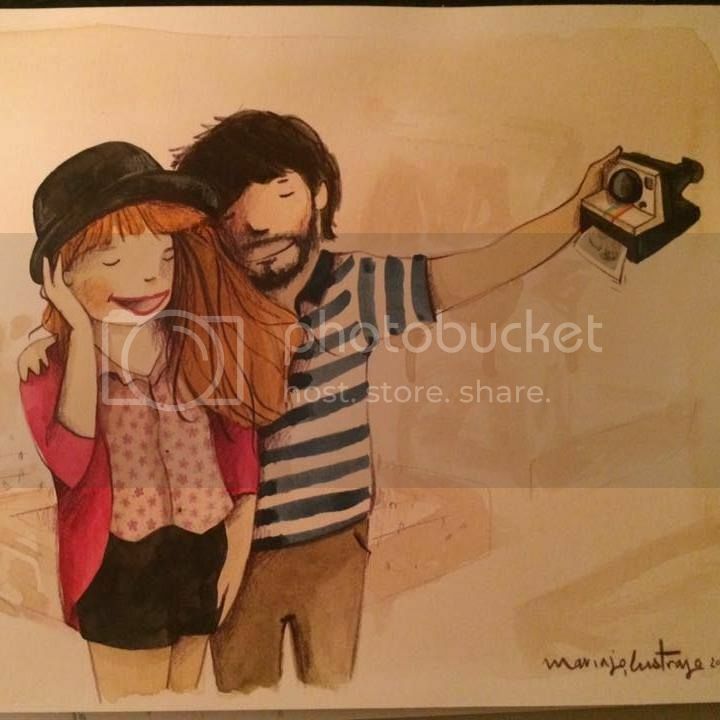 Soy Paula, de Porque Sueño..., sólo quería darte las gracias por haberme incluido en tu lista de stands favoritos del Nomada Market, la verdad es que me anima mucho que a la gente le gusten mis ilustraciones. También darte la enhorabuena por tu blog. Besitos!!! This is such a great idea, I love how you used Japanese and Italian. Enjoyed the interview too! love your picts and particulary your hair ... lol so perfect ! She has such a great style!! Definitely one of my favourite bloggers too!! Hi there!! How are you?? I've been with exams lately but I am finishing on Monday!! muy bueno tu blog, voy a ver el de esta chica ahora mismo!! omg i die for her miu miu bag in the last photo! Yay that was a great interview!